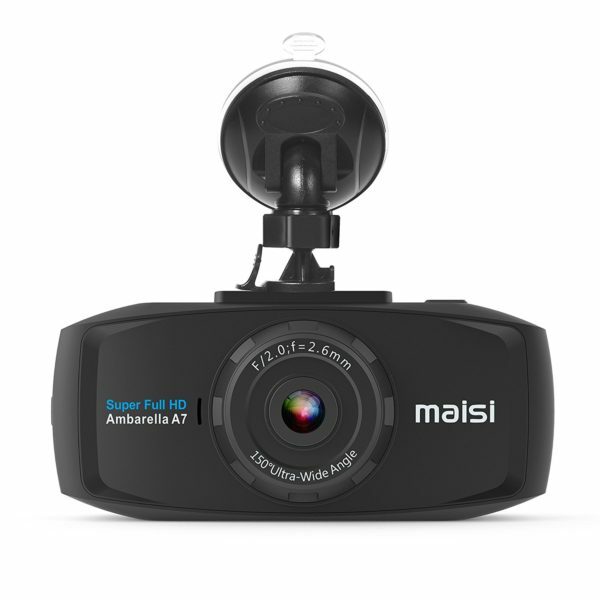 The MAISI SMART dash cam is the best value for money GPS camera on the market. 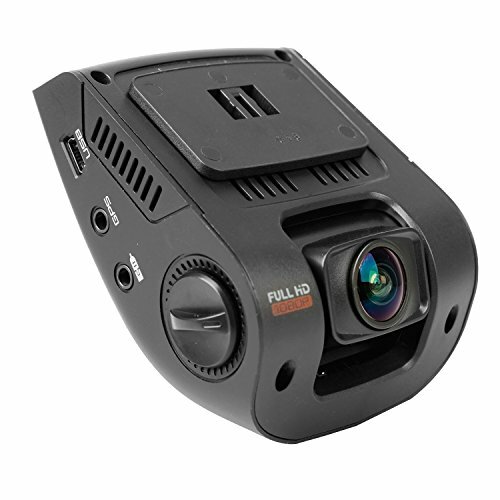 With the wide array of features and fantastic resolution, this camera holds it’s own against even the highest level dash cams, and for a fraction of the price. As with the other cameras from MAISI, you will find exceptional quality control and fantastic customer support. The dash cam can record at 1296p (greater than standard Full HD 1080p) with a superb 170 degree wide angle lens, providing great footage day or night. The Maisi dash cam works with Class 10 microSD cards up to 32GB, providing a write speed of at least 10MB/s, a requirement for 1080p video. 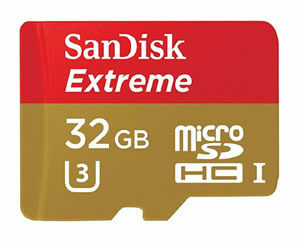 However, we recommend a write speed of at least 20mb/s to make the most of this cameras superior 1296p resolution (SanDisk Extreme). There is currently a large problem with fake and faulty cards being sold, so if you are having difficulties with the SD card you buy, get in touch with Amazon as soon as possible as they have a fantastic returns policy. The back of the dash cam has four buttons. The top left (OK) button is used to manually stop/start recording, and confirms a selection when in the menus. The bottom left (MENU) button will access the Video Menu, and when pressed again takes you to the Settings Menu. Recording will need to be stopped to access the menus. This button is also used as an Emergency Lock Button, and will manually protect the current loop while recording. There are three lights on the left of the camera. The top light turns red if the dash cam is plugged in, indicating that the dash cam is charging. The middle button becomes blue when the dash cam is recording, and the last button lights up green if the GPS dongle is receiving a signal. The top right (UP/EV) button is used to navigate up in the menus, and will change the Exposure Value in recording mode (+ brighter, – dimmer). The bottom right (DOWN/M) button will navigate down in the menus, and will change between Video, Photo, and Playback modes. There is a single button on the left side of the screen, which will turn the camera on/off. The right side has two slots. The top is for a HDMI cable, allowing you to plug the camera into a TV or monitor directly. Under this you will find the USB slot, allowing you to transfer files to the computer via the USB cable (included). This slot will not power the dash cam, as a separate “DC IN” slot can be found on the side of the mounting bracket. The other side of the mount has a USB slot for the included GPS dongle. On the bottom of the camera you will find a button labelled “R”. This can be pushed and held for a short time to restart the device, if it freezes. There is also a slot on the bottom for the MicroSD card This should be inserted with the text facing towards the front of the dash cam, the gold teeth facing towards the screen. The very first thing you need to do is insert the microSD card. It is very important to insert the card before switching your dash cam on, to avoid damage to either the card, or the camera. 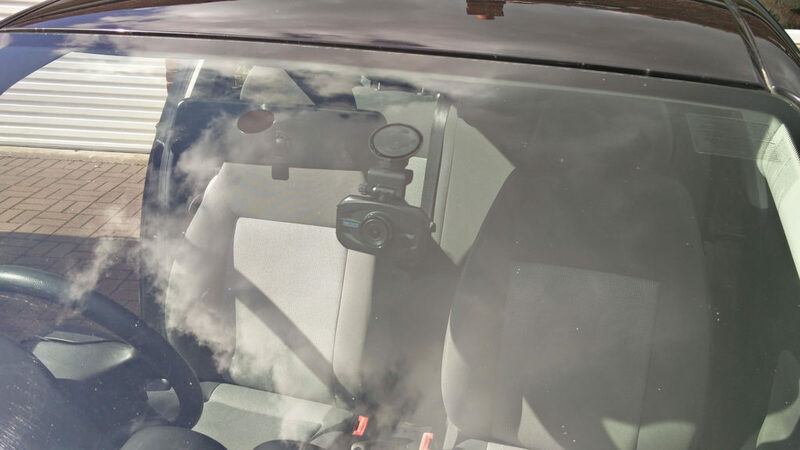 Start off by sliding the suction cup mount on the top of the Dash Cam. This can be difficult to get on, so slight force is required. When the mount is fully connected, turn the knob on the side of the mount to adjust the top section. Before attaching the camera it is important to check the laws wherever you live, to make sure the dash cam placement is legal. As long as the dash cam is attached behind the rear view mirror, or on the passenger side (not obstructing the drivers vision) you should be legal. Remember to leave a slight gap at the top of the windscreen, to fit the USB cable above. When you are ready, stick the suction mount to the windscreen, by pressing it on and pulling the lever up. The suction cup is very easy to remove and readjust by s imply flicking the lever. Once your dash cam is attached to the windscreen, simply use the knob to adjust the angle. Now you can plug the GPS dongle in via the USB socket on the left side of the camera mount, labelled as GPS/WIFI. Tuck the wires above the windscreen over the passenger side, then down through the rubber on the side. This can be brought down into the footwell, and either tucked under the floor mat, or stuck underneath the glove box. To do this you will need to get some cable mounts. The adhesive mount works in a similar way to the suction cup, but take more care with positioning as the pad can not be moved once stuck down. For an extensive setup guide, visit our friends at www.dashcamguru.com/reviews/maisi-smart-dash-cam-review. The next step will depend on how your car delivers power to the 12V socket. Plug the 12V cable into the socket, and check the camera. If it isn’t receiving power, your car requires the ignition to be on for the 12V socket to be active. If this is the case, turn on the ignition, and wait for the camera to automatically power up. There should be a red circle on the screen, indicating that the camera has started recording. To play back files on the camera, you will first need to go into “Playback Mode”, by pressing the Down button twice (after recording has been stopped). Then you can use the Up/EV button to change between protected and unprotected footage. After pressing the OK button, the Up/EV btton allows you to navigate through the videos. The Down button will take you back to recording mode, so you can only navigate in one direction. Press OK to load the video, and again to play. To delete a file, find the video and use the bottom left button. Press the Down button to select delete, and OK to choose delete the current video. Press OK again to confirm the selection. There are two ways of transferring the footage to your computer. The first is to connect the dash cam with the supplied USB cable (make sure to use the USB slot, not the DC IN). When this is connected and switched on, the screen will turn blue and show the words “USB connecting”. Now the files on the dash cam can be accessed through your computer. It will be labeled “Removable Disk”. Access this folder and copy the files you want, then paste them over to your computer. The dash cam folder contains three other folders; EVENT, NORMAL, and HDPlayer. The EVENT folder contains the protected recordings, the other recordings are found in the NORMAL folder, and HDPlayer contains the Maisi HDPlayer. This program shows you GPS and speed data side by side with the recordings, but can be problematic. Read on for more details. 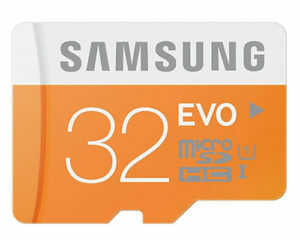 It is a good idea to reformat the microSD card after transferring files, to prevent file corruption. Before you do this, make sure you have a copy of every file you need, as they are deleted when the microSD card is reformatted. An easier transfer method is to turn the dash cam off, then take out the microSD card. 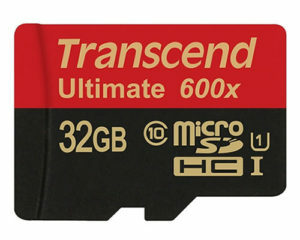 Inserted into your laptop or computer, by using an SD card adapter. When this is plugged in, you can open up the folder and simply copy and paste the files you need. 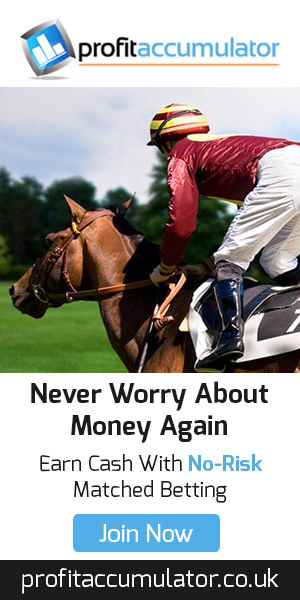 You can play back your recorded files alongside GPS tracking, using the software provided. There can be several issues with the Maisi software, so we recommend you download Registrator Viewer instead, as this worked without issue. The Maisi HD Player’s GPS tracking only works on 32-Bit operating systems, so this won’t be helpful for most people. Both Registrator Viewer and the HDPlayer look similar You will see a map in the top right of the screen, with a list of videos underneath. The video is on the left side, and G-Force/Speed data is included below. Videos are automatically imported, so you need to use the green “-” button to remove them, and use the “+” button to import the files you want. After this, you can click on a video to load it into the player, and use the play button to watch it back. The recorded footage is crisp and clear during the day, allowing you to pick up details such as number plates. 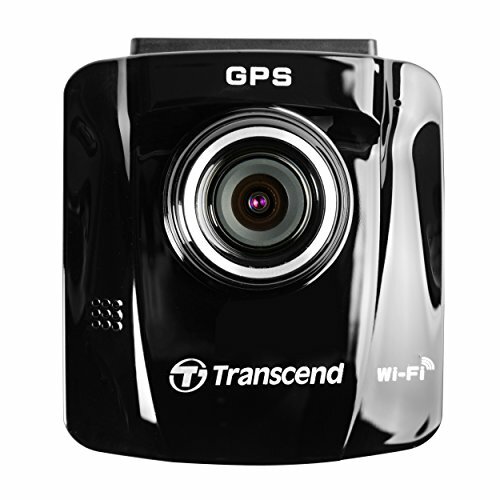 The 170 degree wide angle lens gives fantastic coverage of the entire road, and the surrounding areas. The low light footage is good enough for purpose, but loses much of its clarity when driving at night. This is not a problem with the Maisi, as the majority of dash cams suffer with low light. We advise using the 1920 x 1080 HDR resolution option, as it offers the best mixture of video quality and file size. The highest resolution (2k) setting looks great, but the two major issues are a) Most screens won’t have enough pixels to display the resolution to it’s maximum, and b) The files are very large, so will fill up the microSD card quickly. 720p @60fps can be a good option, as this gives a smoother video with a slight loss in resolution. 9.5/10 – If you are looking for a dash cam with top video quality, a wide range of features and unbeatable value for money, MAISI is the brand you are looking for. 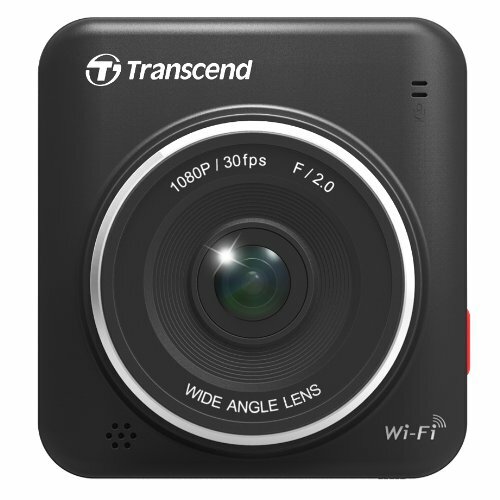 This device is a step up from the cheaper MAISI Full HD 4 MP camera; with superior wide angle lens, advanced driving systems, and a GPS logger. As with other MAISI dash cams, customer support is both quick and informative. Navigation through the menus can be done easily with the use well placed buttons, and there is a wide range of settings available to change. The large and high quality screen makes playback and menu navigation very easy, while the GPS dongle is a fantastic addition. 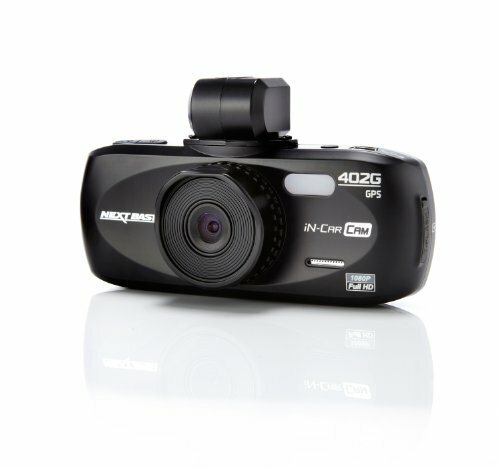 The Ambarella A7 chipset allows this dash cam to provide better video quality than more expensive bands, while the 170 degree wide angle lens provides a clear view ahead and to the sides. For improvements, we would like to see more dash cams come with microSD cards included, to avoid some added cost and confusion. This is especially important with the Maisi Smart, as a standard class 10 microSD might not provide high enough write speeds to record at the highest resolution. Apart from this, the Maisi has everything you need in a dash cam, and is certainly good enough to rely on as evidence in an accident. If you aren’t interested in the GPS or advanced features, you should consider the Maisi Full HD. 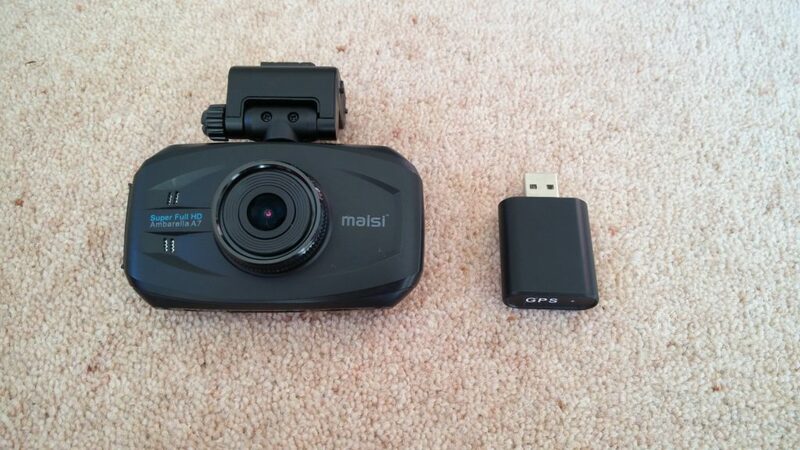 This dash cam features the same resolution as the Maisi Smart, but is a slightly stripped back version at a lower cost. For an even lower price, the Rexing V1 will provide you with great 1920 x 1080 footage, and a more robust feel. (4.7 / 5) (163 reviews) – The vast majority of Amazon reviews for the MAISI SMART are 5 or 4 star. This demonstrates superb quality control and an outstanding product. I am very pleased with this dash cam. Basic features and installation is easy and simple to use. Picture quality good, both night and day. After searching the web for an actual dash cam review rather than a sales pitch, I’m very grateful for coming across this article. The setup guide made things very easy, certainly a plug in and go dash cam from Maisi. I decided to use the suction mount and so far there have been no issues. I did purchase some adhesive wire clips but these were crap, so I stuck to your method of tucking it down the rubber. Very happy with the review, and very happy with the product. Would highly recommend to anyone. I bought this dash cam a couple of days ago and I’m having some issues. I know you don’t manufacture it but I was wondering if you could help me find a solution, or give me contact details for the manufacturer. Basically, the camera doesn’t start recording when I turn the ignition on, but as soon as I start moving. It then keeps stopping and starting throughout the journey. Hi Adam, I might have a solution for you. It sounds to me like motion detection is switched on. You can check this by looking for a red icon at the top, next to the G-Sensor sensitivity. If it’s there, go into the video settings and turn it off. If this doesn’t solve your problem, please get back to me and I can provide you with the manufacturers contact details. Thank you very much, this sorted the problem straight away. I’ve asked this question on a few other websites but it seems to me like the reviewers have never actually used the dash cam. Can you please give me the manufacturers email anyway in case I have any problems? Happy to help. I’ve sent the details to your email. Their customer support is great so you should have no problems, but if you do you can always leave another comment here.